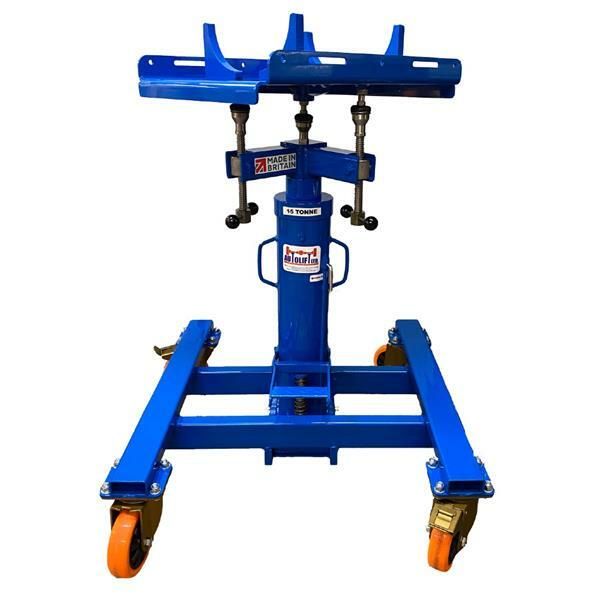 1,500 Kg capacity vertical transmission jack for use on motor/gearbox/under-axle for removal of heavy components. Used in pits or under lifts. Manoeuvrability from swivel castors (2 Lockable).